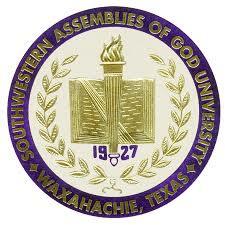 Southwestern Assemblies of God University (SAGU) is a Bible-based institution for theological and professional studies. It is rooted in the great commission of Jesus Christ to ̫Go into all the world and preach the good news to all creation̦̠ and to ̫make disciples of all nations . . . teaching them to obey everything I have commanded you̦ (Mark 16:15a; Matthew 28:19, 20), which is the primary emphasis of Southwestern̠s parent body, the General Council of the Assemblies of God.The purpose of Southwestern Assemblies of God University is to prepare undergraduate and graduate students spiritually, academically, professionally, and cross culturally so as to successfully fill evangelistic, missionary and church ministry roles and to provide quality educational and professional Christian service wherever needed throughout the world.